Following India's 3-2 series defeat against Australia on Wednesday, Michael Clarke has stated that people shouldn't underestimate MS Dhoni's role in the Indian team, as the former Australian skipper believes Dhoni plays a key role for the Men in Blue with his invaluable experience. The Ranchi-born cricketer was rested for last two Australia ODIs, leaving a visible void in the team. In spite of being in his late 30s, MS Dhoni plays an important role in team India, be it from behind the wicket or in the batting. Additionally, he has been providing a much-needed assistance to captain, Virat Kohli. More so, it's his priceless presence in the team that lifts the spirits of all the others. 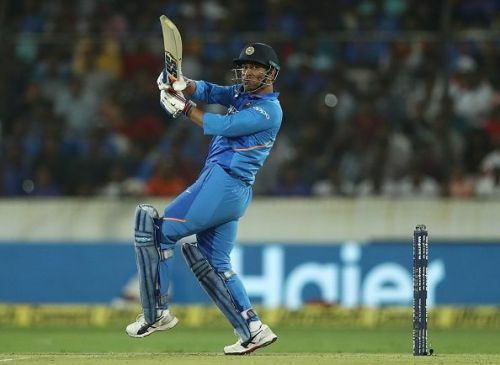 WIth the highly anticipated World Cup nearing, Dhoni was given the rest for last two ODIs against Australia as India were well-set in the assignment, having won the initial two matches. However, Aussies made a stunning comeback in the last three matches. They cruised past Virat Kohli's men in all three departments, helping themselves to a 3-2 victory. Going down after having taken a 2-0 lead in the series led to a host of questions. Rishabh Pant, who replaced Dhoni in the playing XI, failed to justify his place both with the bat and gloves, proving how important role MSD plays in the side. "Never underestimate the importance of MSD - experience in the middle order is so important." The next assignment for Indian players is the Indian Premier League (IPL), beginning from March 23rd. Kohli and co. will begin their World Cup campaign against a formidable South African side. India's Middle Muddle: Is it solved or is it still going to haunt them in the World Cup? MS Dhoni, the batsman: How far will he go?